How have your emotions guided your behavior in positive ways? How have your emotions guided your behavior in negative ways? What confuses you about emotions? We also can’t rely on our own definitions of good and bad emotions. We might experience something as bad that God intends us to rely on Him through and grow. We might experience an emotion as good but in reality, it just makes us comfortable, which may not be where God wants us to be. Plus, a single emotion could draw us toward God in one situation, as we rely on Him to guide us through an experience, but separate us from God in another situation because we let the emotion control us. That’s why it’s critical to rely on God for the truthfulness of every situation. As you know God’s character, including His emotions, you’ll rely on Him to define your emotions as He intends. Live It. Keep a list of emotions you experience through the day. Make a note of the situation. You don’t need to go into depth; just jot enough to remind you of the context. Place the list in a place you’ll see it in one week. Review it and determine how accurate your emotions were. Keep emotions in the context of truth. Determine the truthfulness of emotions and specific situations drawing you closer to God. Allow your emotions to enhance your spiritual experiences in all areas of your life. 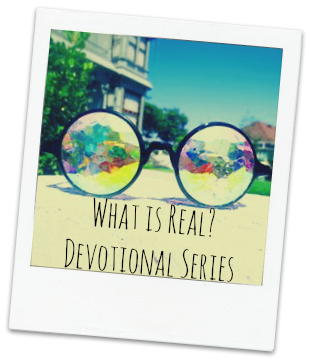 Posted on February 28, 2015 January 17, 2015 by SusanHLawrencePosted in What Is Real?Tagged authentic living, celebration, challenge, devotional series, faith, God's design.